Posted in Blogs & Social Media, Donald Trump, Hillary Clinton, Michigan News, Politics, Scandals. Tags: Donald Trump, Facebook, Hillary Clinton, James Comey, Michigan, Politics, Russia, Scandals, Wikileaks. RSS feed for comments on this post.. TrackBack URL. Hildabeast RottedHam Clinton is one miserable un-employed old bag. 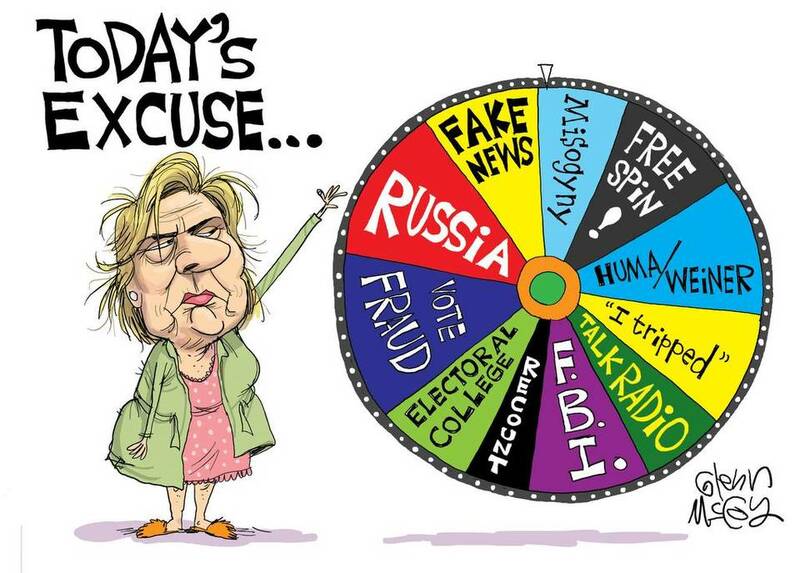 In her new book of blame does she ever mention anything about falling face first into a waiting van? Or about the clip that fell out of her pantsuit, or the body double of her that showed up a short time later from her daughter's place? How about the head bobbing interview? Or the one on the plane with her eye doing very weird things?